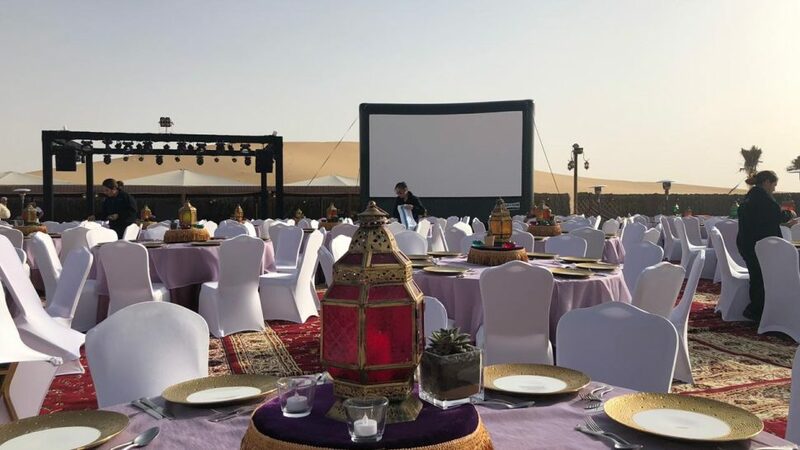 The Urban crew were given the task of erecting a huge outdoor cinema screen for a gala dinner party hosted by Etihad. 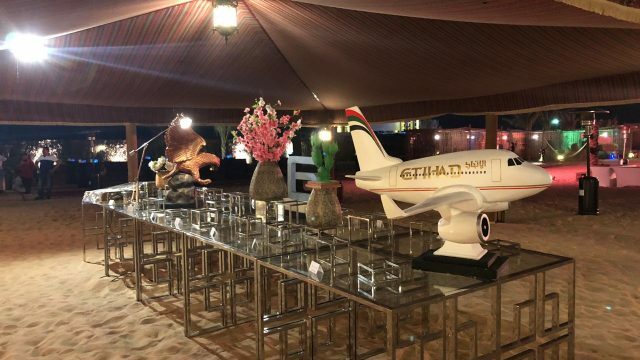 The location for the event was the hala oasis dessert camp in Abu Dhabi. Surrounded by sand dunes and clear skies, the guests were in for a real treat. 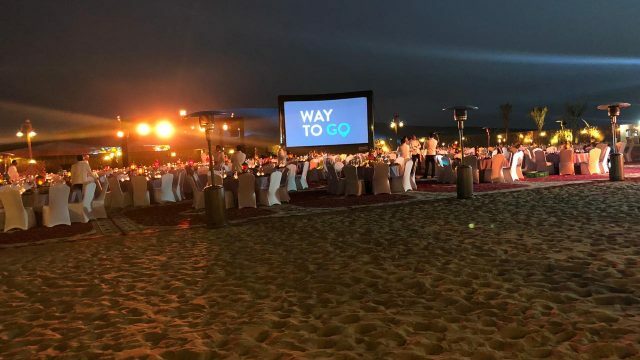 The guests, partners and employees were treated to video presentations including Etihad world destinations and team videos on our impressive 24ft inflatable cinema screen, of which was described as phenomenal by the event organiser. 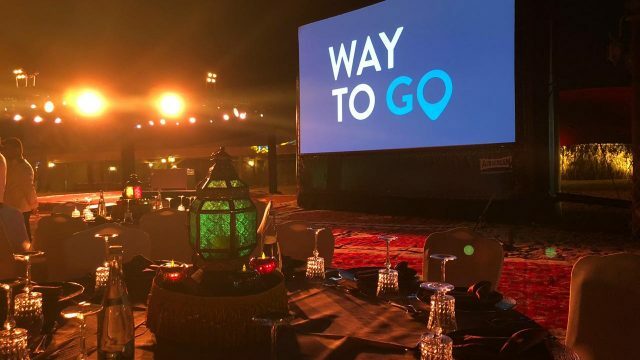 The Event also included the presidents club award ceremony and ended with a candle and laser display to close off the show.